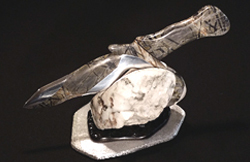 This extremely fine piece of dentritic jasper depicts nature at her best. 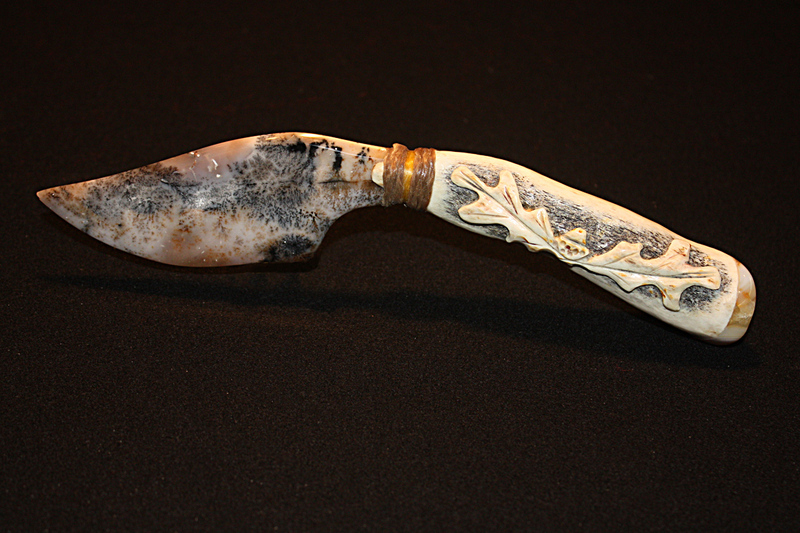 The cool blue color and moss-like dendrite of blue jasper was the perfect choice for the blade of this knife. Rounded on both sides, dagger style, the blade is hand polished to perfection. 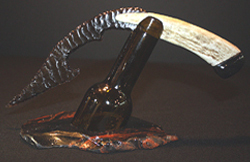 The handle is masterfully crafted of Hickory and infused with a bit of dense ironwood. Before assembly the handle is hand carved for a handsome, classy design. 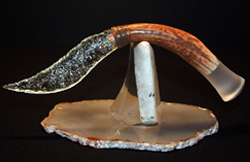 The overall length of this knife is 11″ and is personally signed by the artist, Mario. A certificate of authenticity is included with your purchase. 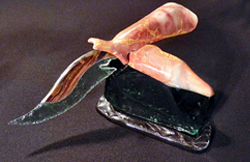 All of Mario’s knives are one of a kind, so don’t hesitate. They are going fast.